For the introduction as to how MMU series may be able to help unite the feuds between the districts vs. charters, please click here. Convention of arrows: the yellow arrows are the math impacts of the MMU1 and the brown arrows are of the MMU 2/3 and the orange for MMU 0.5. To view the chart images more clearly, just click on the images. 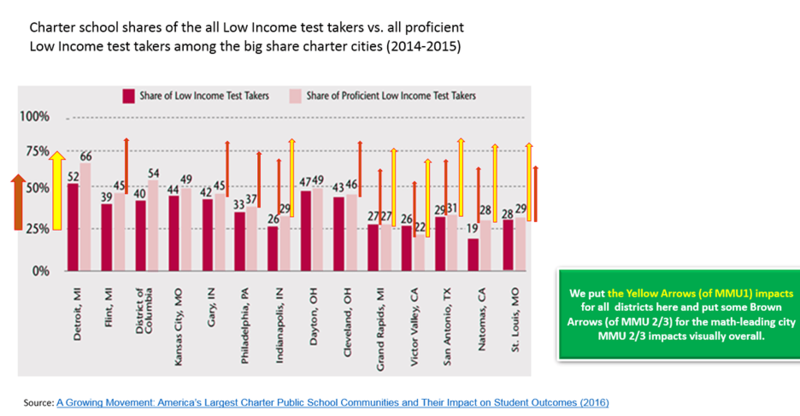 Chart 1: in the big city districts, how charters are gaining in math compared to the traditional districts. 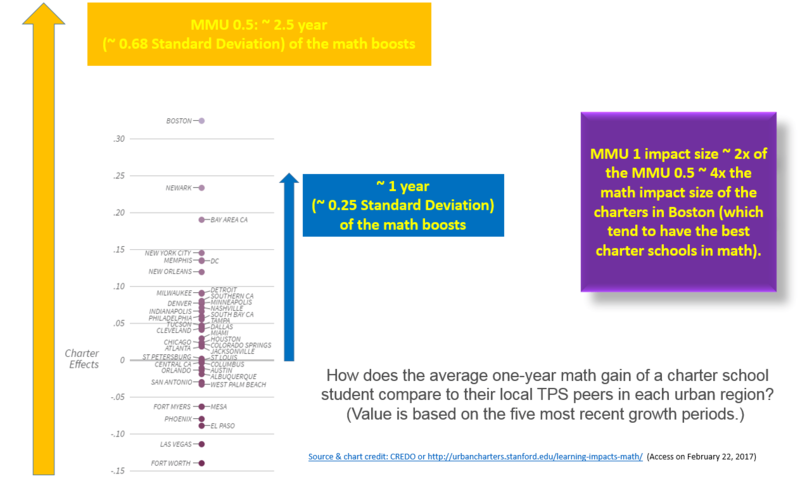 Firstly, in this chart, we can see the overall distributions of most large USA city districts’ math gains between the traditional districts vs. the charters vs. MMU x.x variations. 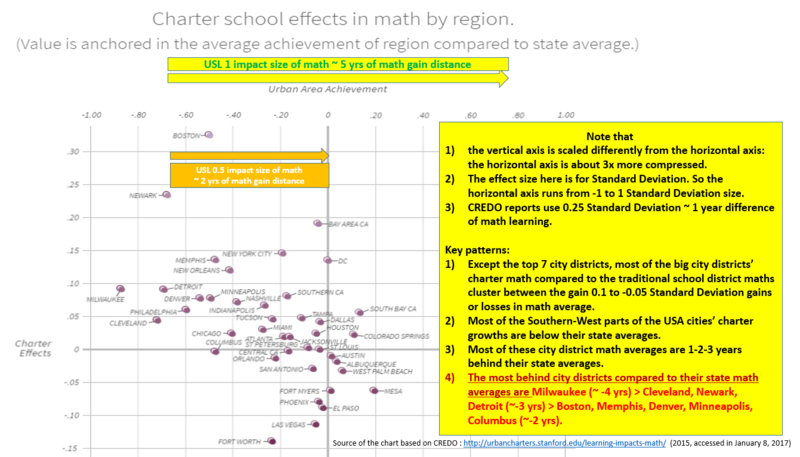 1 year gain of math (which is roughly where Boston, the top charter city) in MMU x.x series is roughly equivalent to MMU 0.2. 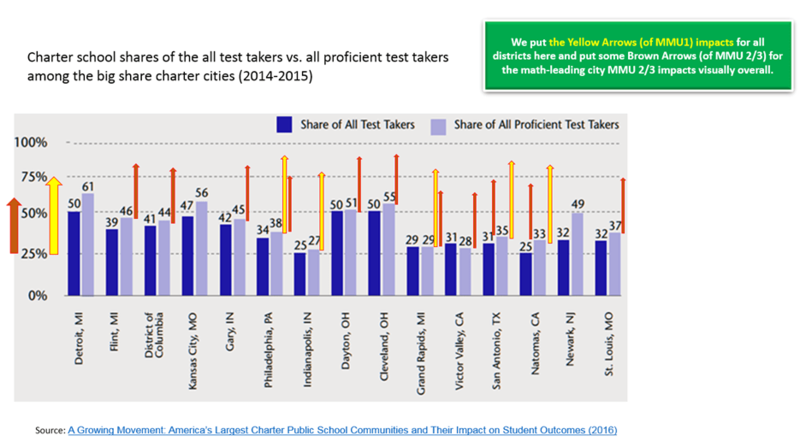 Chart 2: in the big city districts, you can see how far the cities’ maths are behind their state average (by Standard Deviation or by years of learning) vs. how charters are gaining in math compared to the traditional districts. 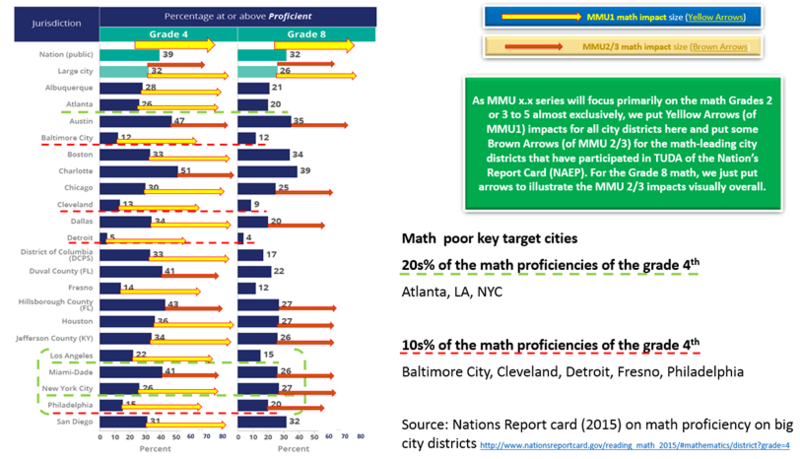 Chart 3: in the big city districts, you can see the Nation’s Report Card math results (2015) vs. how the MMU series will impact to the cities if implemented.